Pediatric & Specialty Optical is located within the office at 5050 Cascade. Pediatric & Specialty Optical is independent of the medical practice. Shanda Stolk, optician, manages Pediatric & Specialty Optical. 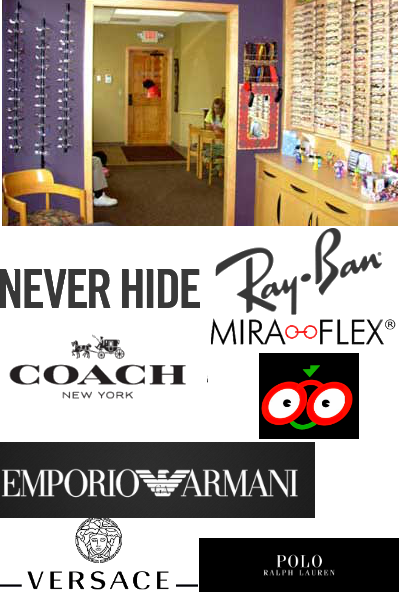 The optical shop specializes in frames and fitting of infants through teens. The shop carries a selection of adult frames for our adult population requiring specialty lenses. Our style selection varies from the cost conscious to the "avant-garde". Our selections carry a warranty and all adjustments and repairs are free of charge. Infant and children's eyewear requires specialized fitting with proper attention to the optical centers. Proper fit is important to achieve optimal benefit. We provide services for adults with special visual needs such as ground-in prisms. Shanda, encourages appointments for your convenience. Walk ins are always welcome. Pediatric & Specialty Optical does not participate with insurances. We require half money down at the time of the order with the balance paid in full at the time of delivery.